How do you feel about these billboards? Not sure about 'Tude. 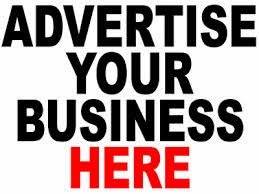 If you see different billboards, email me with pictures so I can post them like I have in previous years. 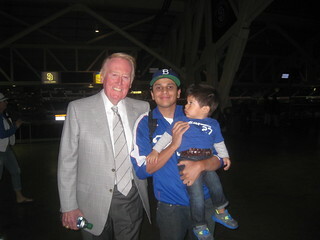 These are in Sunset by Dodger Stadium. 'tude is so bad. They need to scrap that slogan. Not a fan of the "'tude". 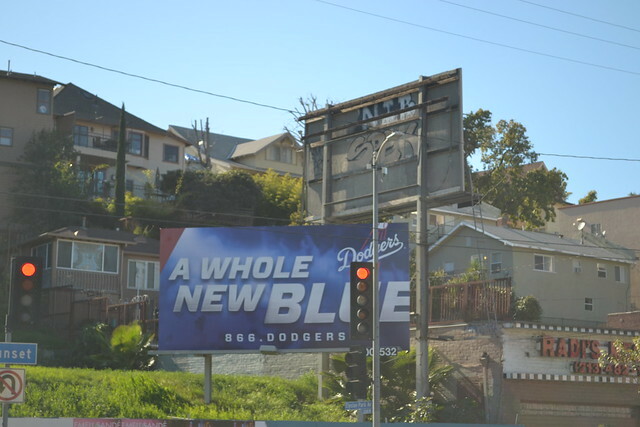 I think we need to e-mail some concerns to these people over at the ravine. A Whole new team but with 99% same roster! Bad ad for sure. 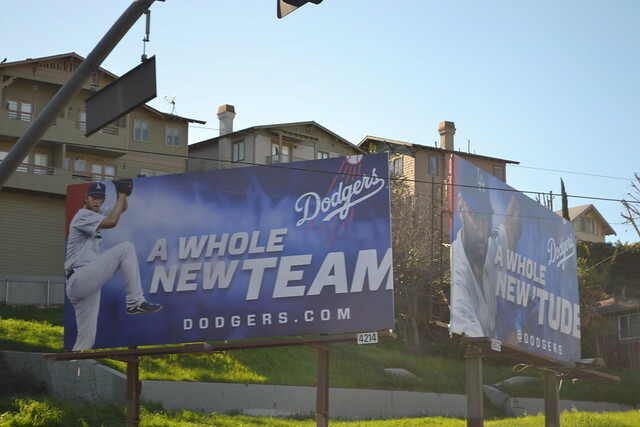 They should be drawing comparisons to championship seasons or even koufax/kershaw billboards. FAIL. The last couple of years had much better billboards. On a 1 to 10 I give it a 1. Personally, I think it's a great campaign. I like how in the first full season of new ownership with changes that, up to now, distinguish them from NOT being the McCourt era Dodgers. The importance of A Whole New Blue is in distinguishing this as a brand new team ready to compete and create their own identity. For too long have we celebrated the championships of 55, 59, 63, 65, 81, and most notably 88. I'm not advocating an about face on the club's past and history but I am advocating a departure from living in the past because as we've celebrated the past these last 24 years the Giants have been making their future a reality with 4 WS appearances and 2 titles. We've been blanked. 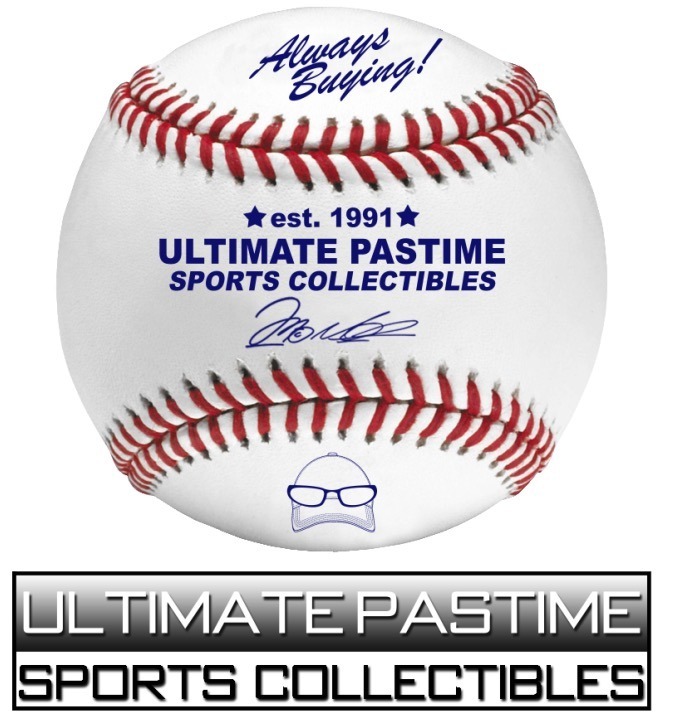 The Dodgers should be playing this ad campaign a little closer to the chest to make sure they're portraying the proper image and not alienating or humiliating themselves. 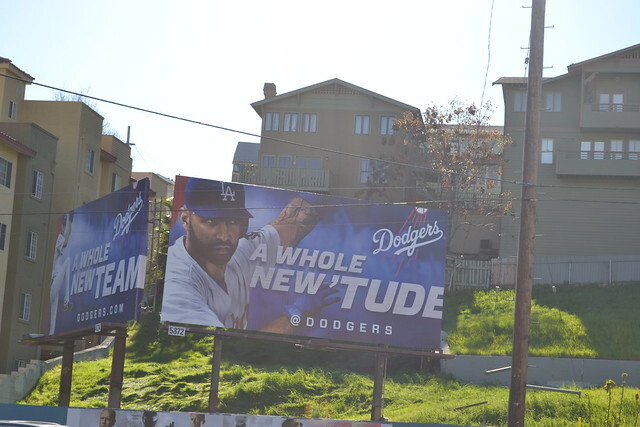 An ad like "'Tude" is just as embarrassing as the Angels ad outside the stadium on Broadway. Not to mention "'Tude" being a shortening of the word 'attitude' being slapped on a billboard with Matt Kemp's image, the same guy who was once blasted by management/coaches/former players for having a bad attitude. I know he's a completely different player now but those are connections that shouldn't be made in an ad cuz they'd get picked apart. Great campaign, bad perception control.